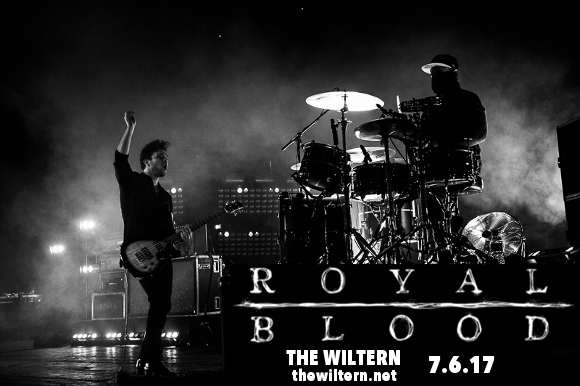 Get ready to see the unmissable Royal Blood!! The British hard rock duo are on tour with their brand new album “How Did We Get So Dark?”, coming to The Wiltern on Wednesday 16th August 2017! Get your tickets today to ensure you don't miss out – we expect them to sell out pretty fast!! Royal Blood is formed of Mike Kerr, vocalist and guitarist, and drummer Ben Thatcher. The pair met when they were teenagers, and were initially involved in the same 4-piece rock band, entitled Flavour Country. After Kerr used the name Royal Blood whilst performing in Australia with a different drummer, upon his return he and Thatcher decided to form a new band under the same name. They were shortly signed to Warner Chappell Music, released their first single, supported the Arctic Monkeys and released their debut, self-titled album in 2014. Now on tour with their second release, Royal Blood promise to deliver the same pure, raw sound that got them so much attention. What are you waiting for?? Get your tickets today! !